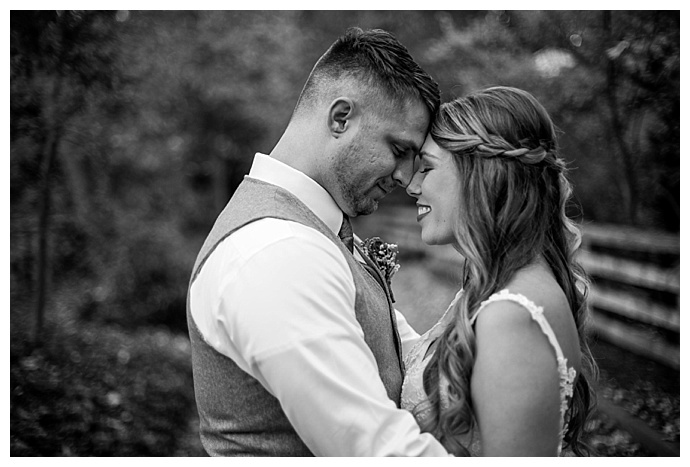 When two high school sweethearts finally get to say “I do,” you know it’s going to be a beautiful day filled with memorable moments. 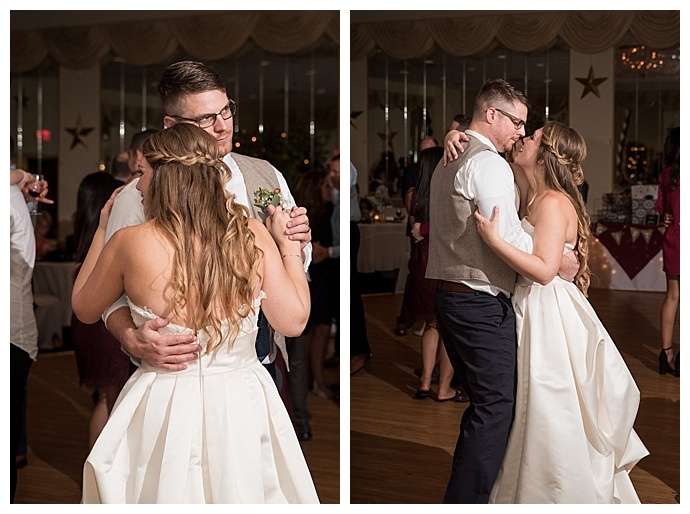 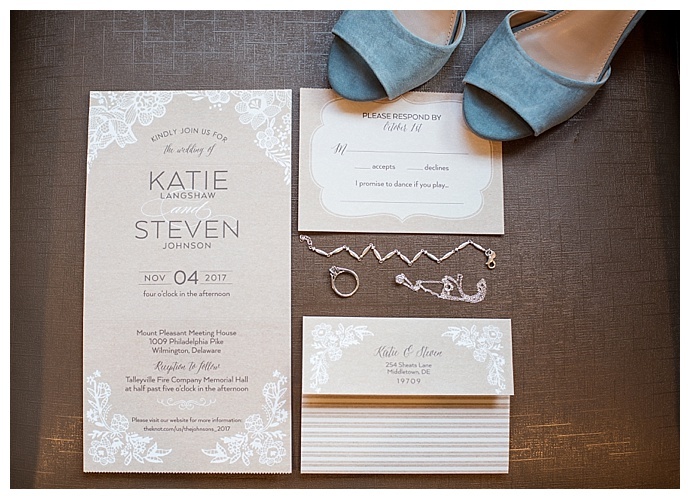 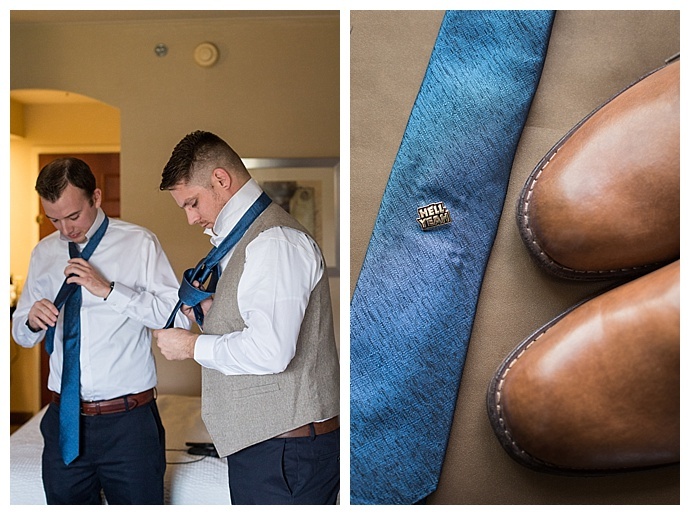 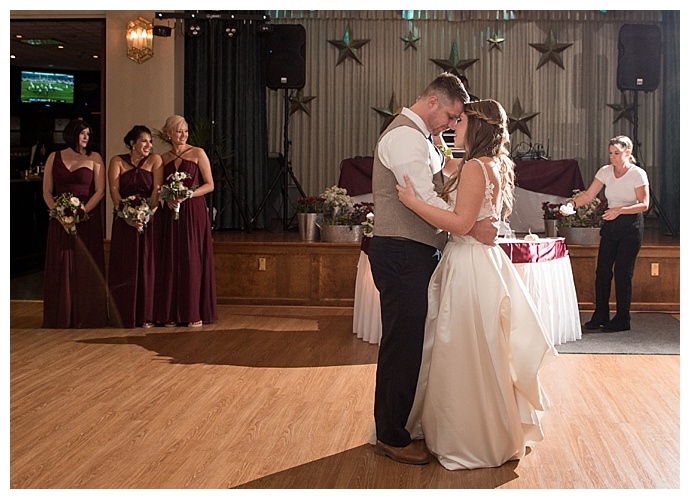 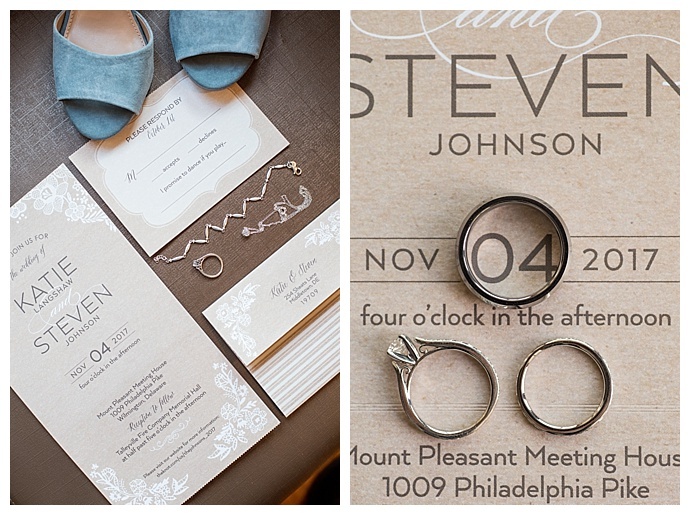 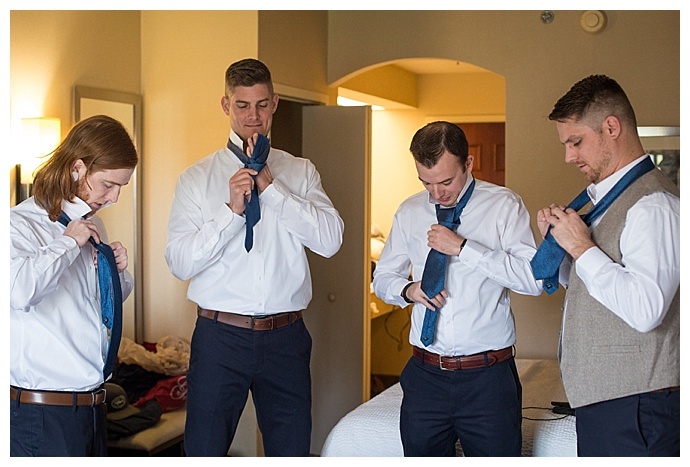 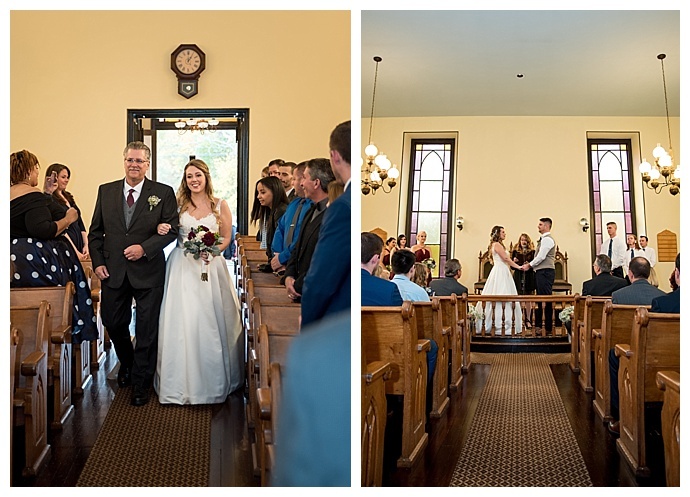 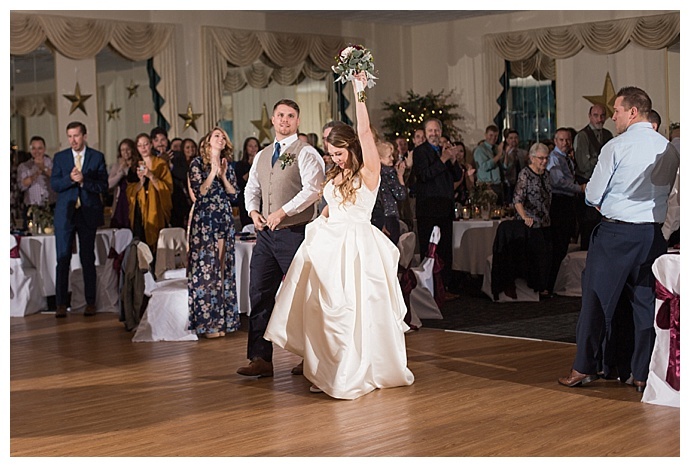 Katie and Steven’s Delaware wedding was all of that and more as their family and friends gathered to celebrate the momentous occasion. 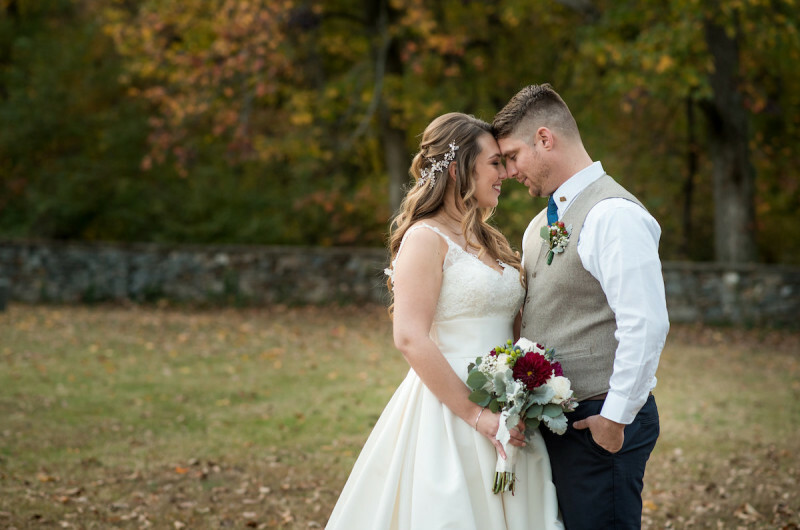 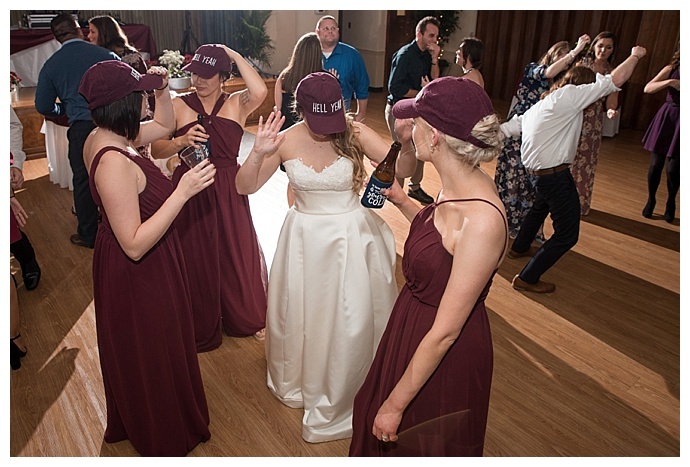 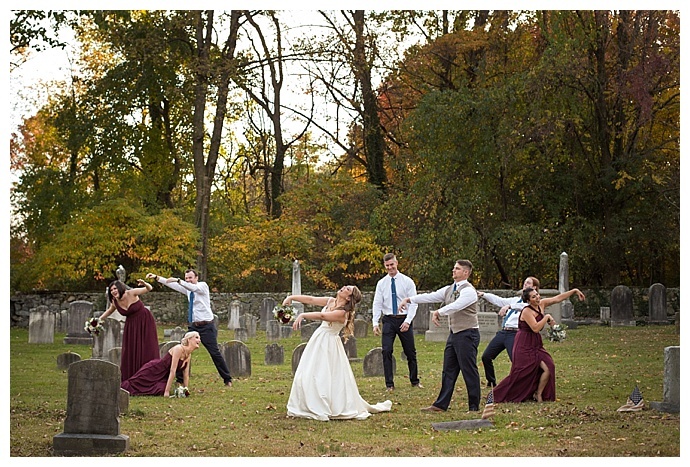 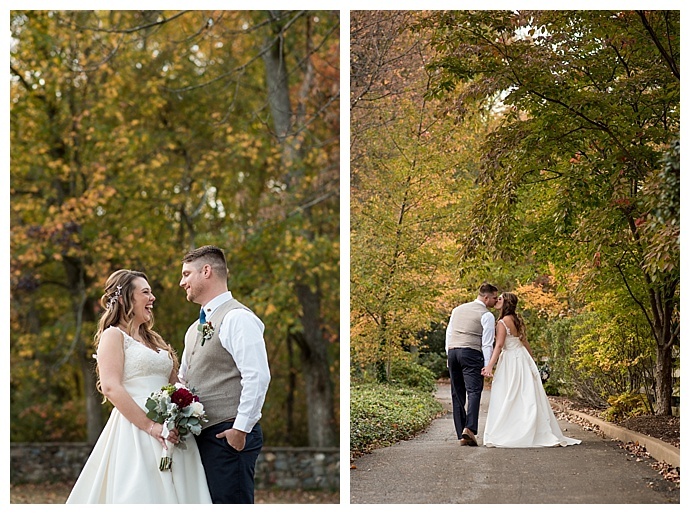 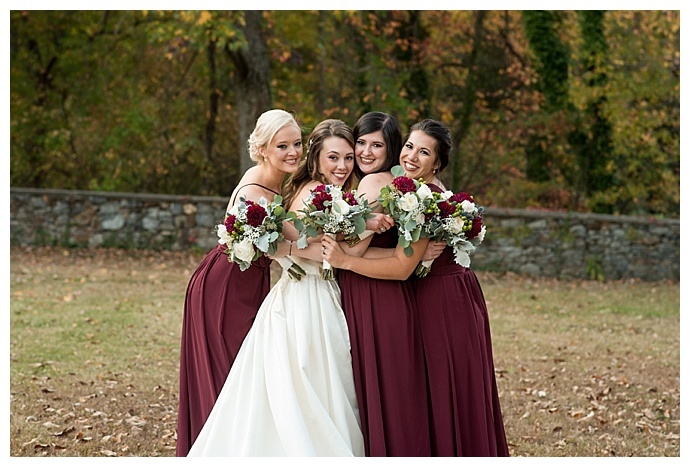 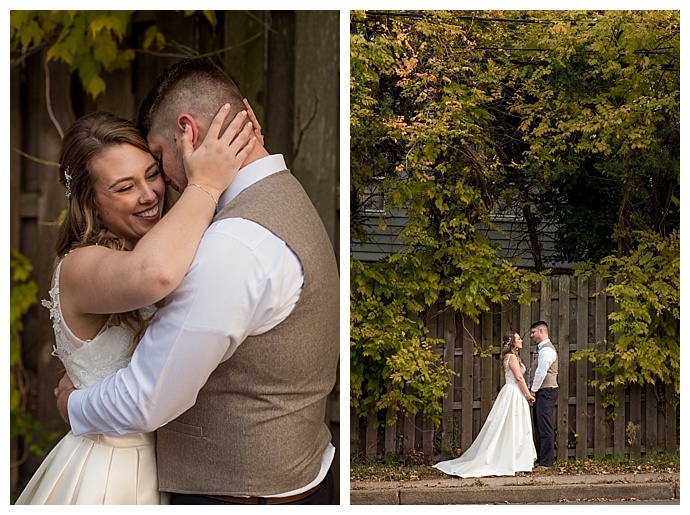 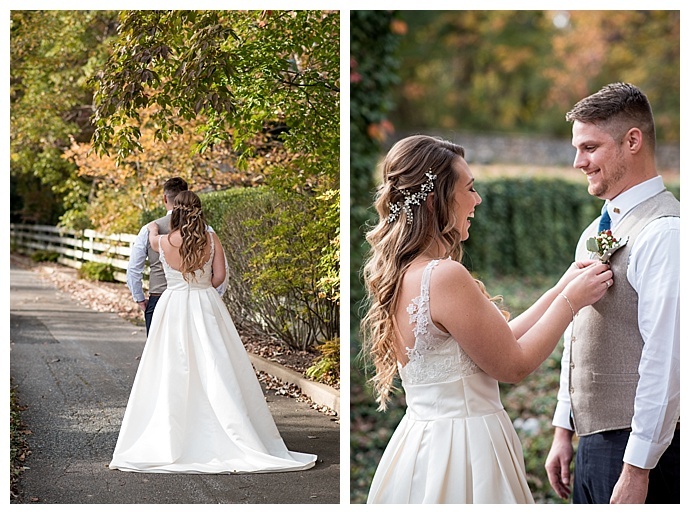 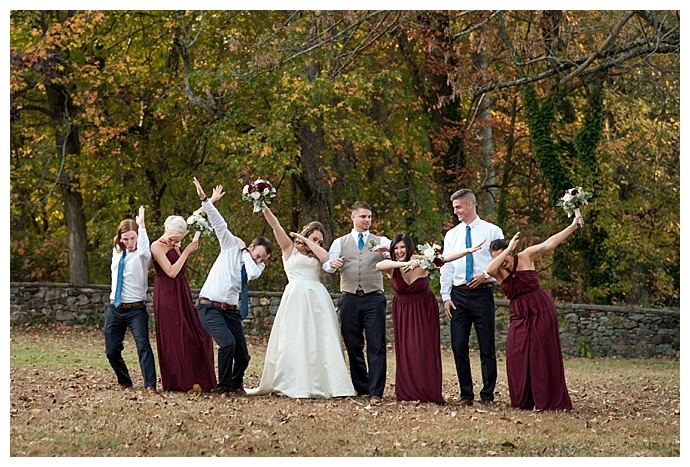 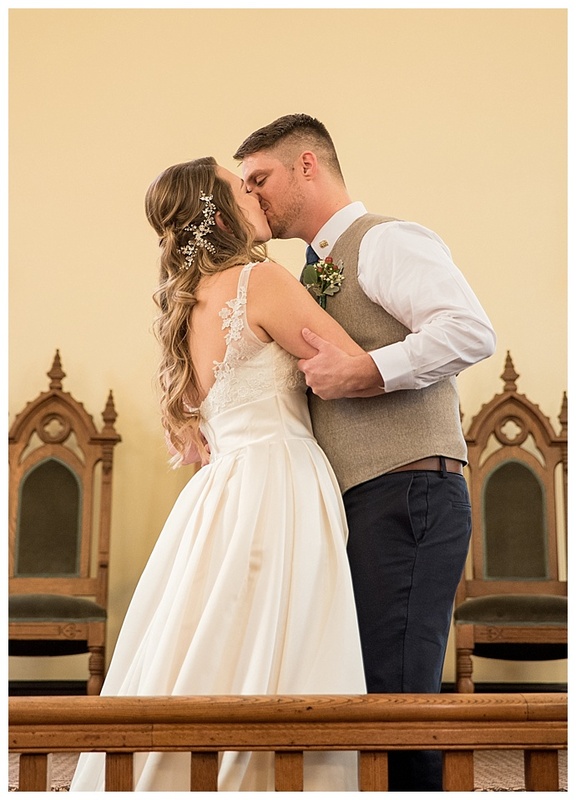 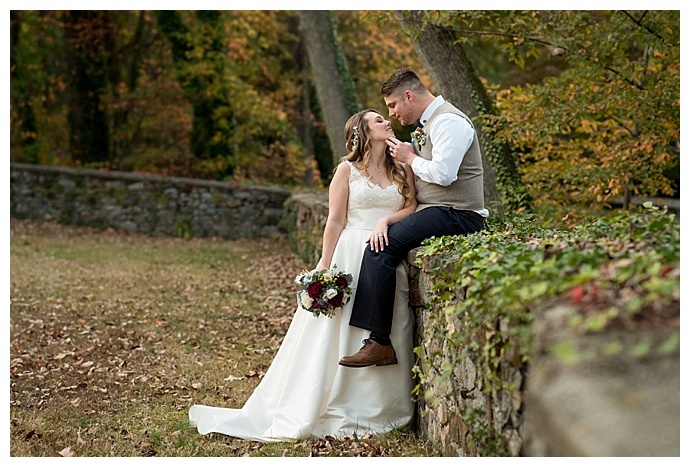 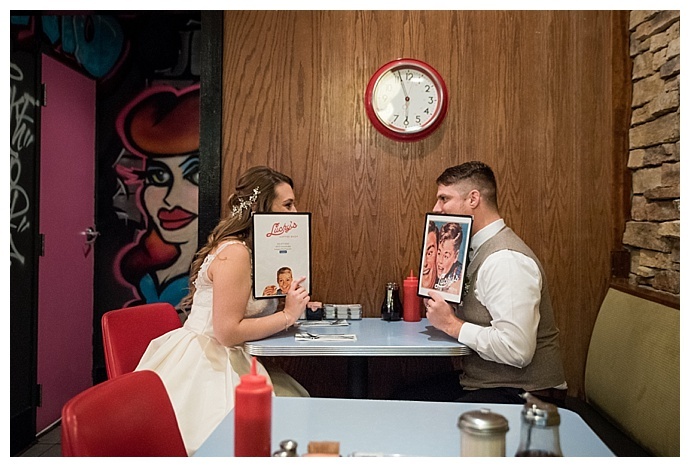 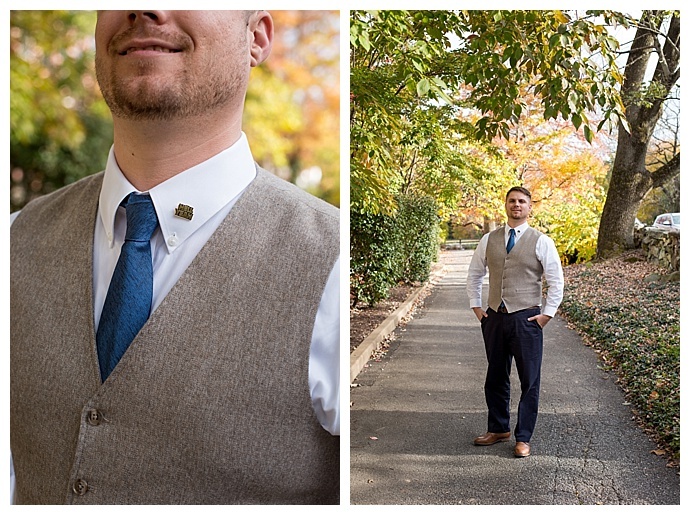 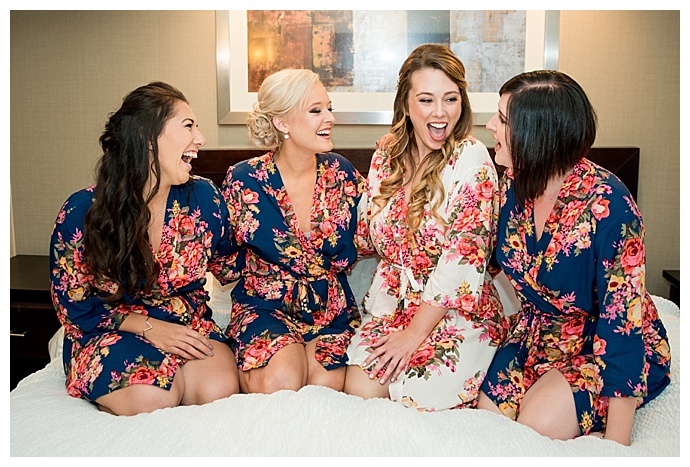 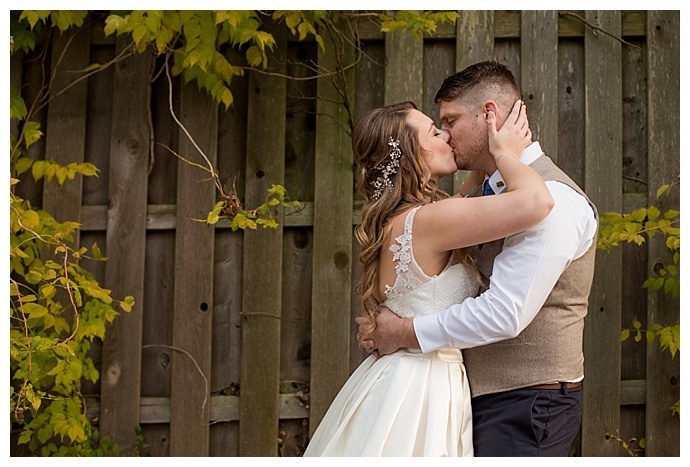 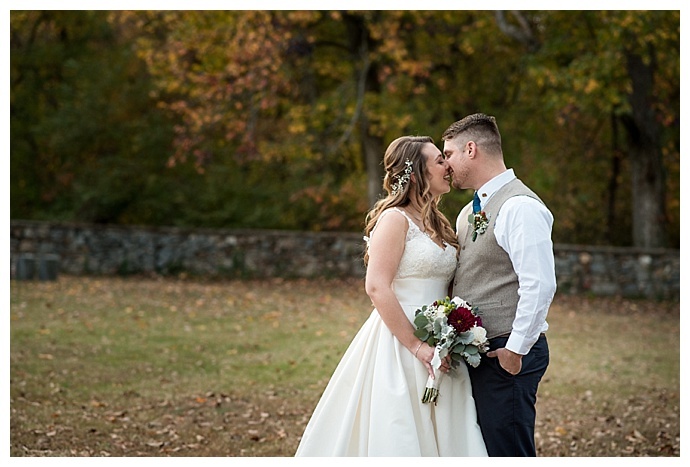 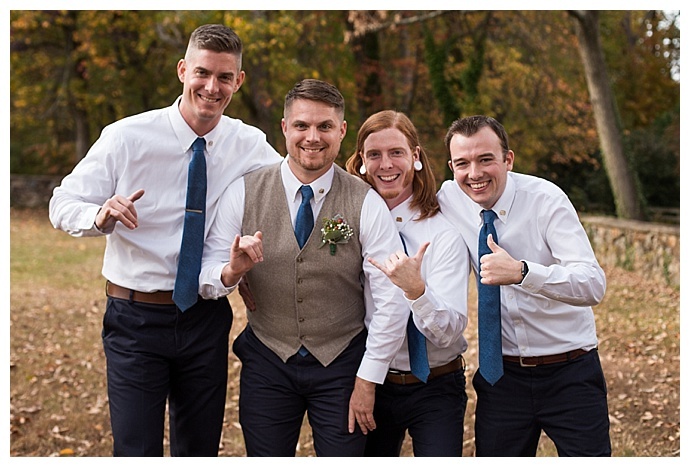 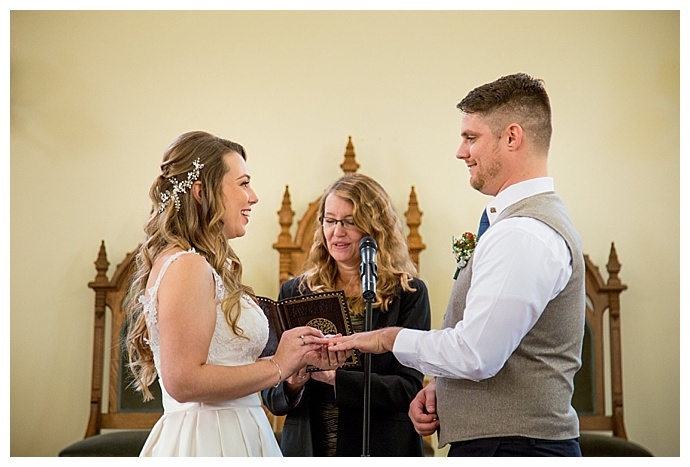 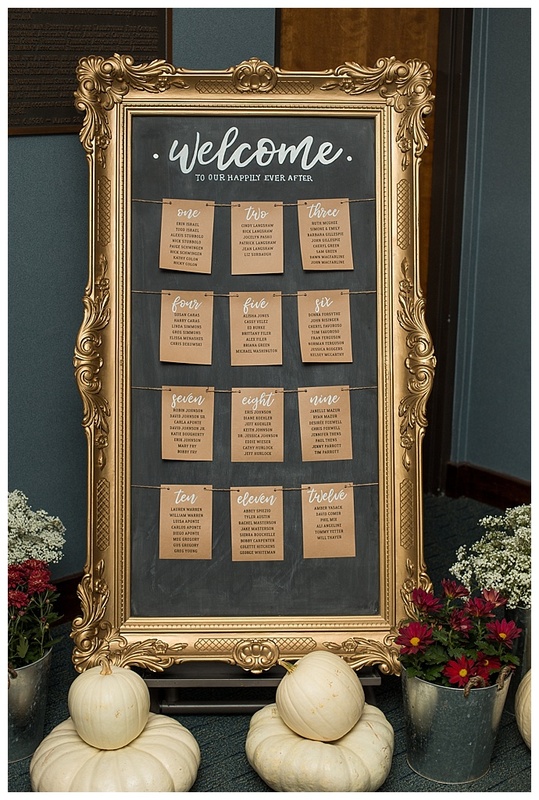 J.Nicole Photography captured all the burgundy details and rustic elements, but our favorite photos are the ones that show the newlyweds’ playful personalities as they pose for photos in a grave yard with their wedding party and snuggle close in a diner they frequent often after tying the knot. 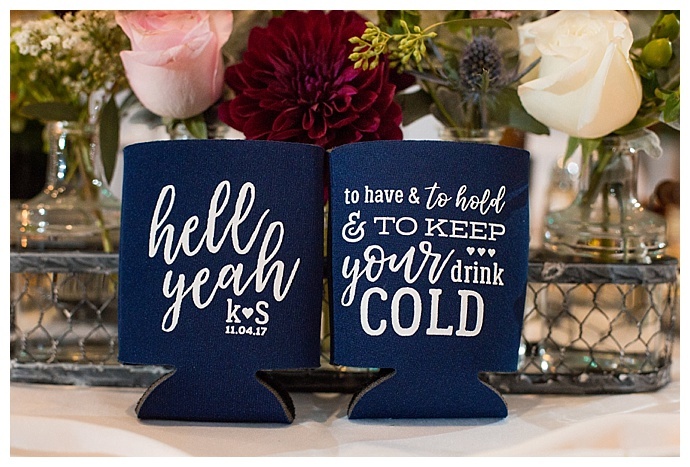 And with a theme like “Hell Yeah!” this wedding is as fun as it gets! 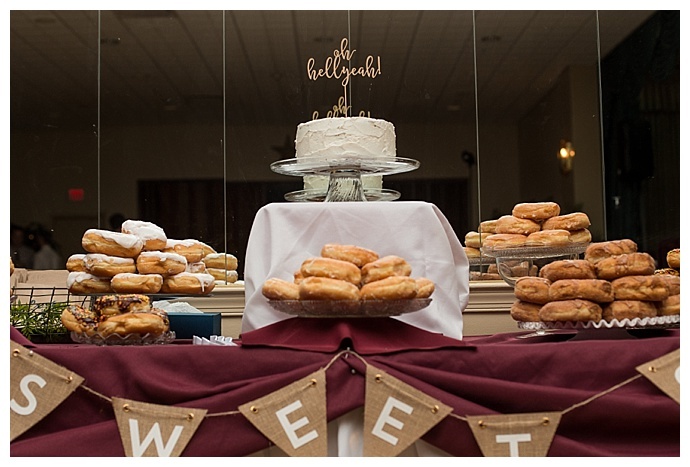 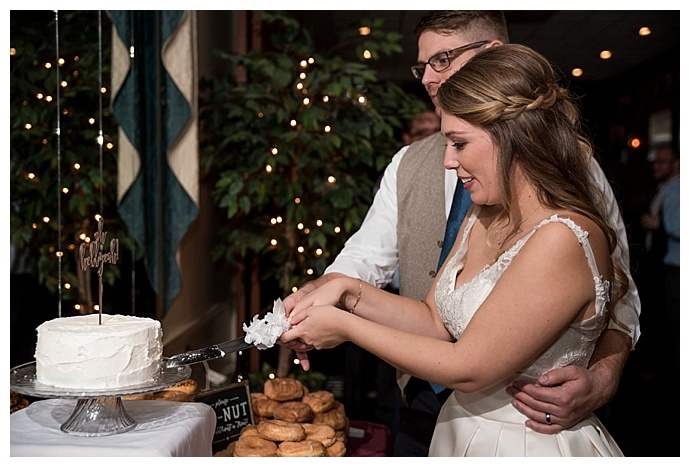 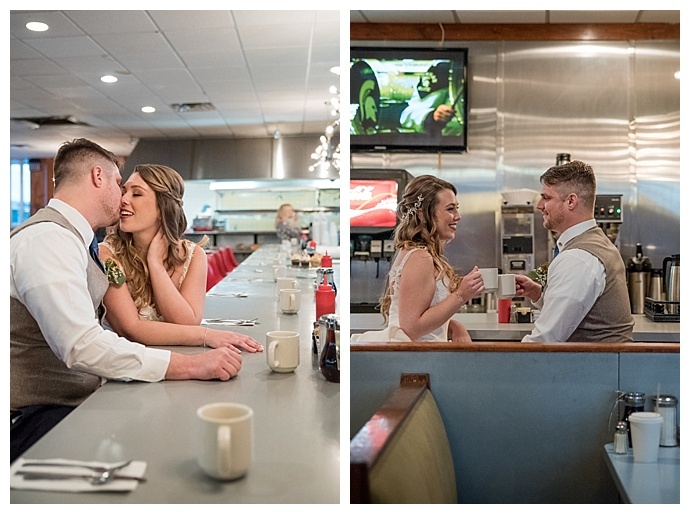 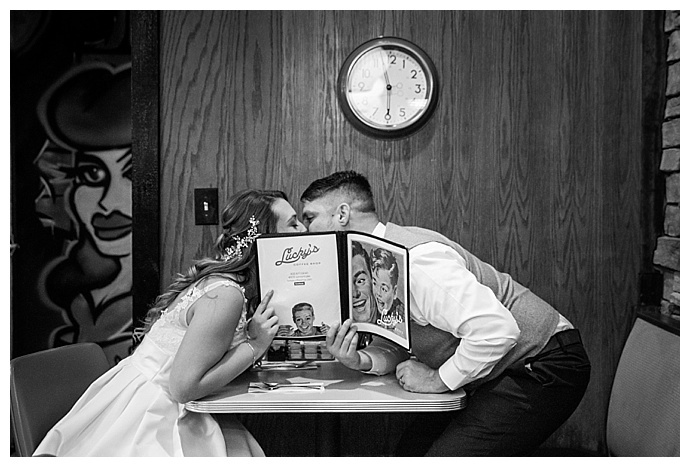 After the “I do’s,” Katie and Steve joined all their friends and family at the Talleyville Fire House for an unforgettable reception. 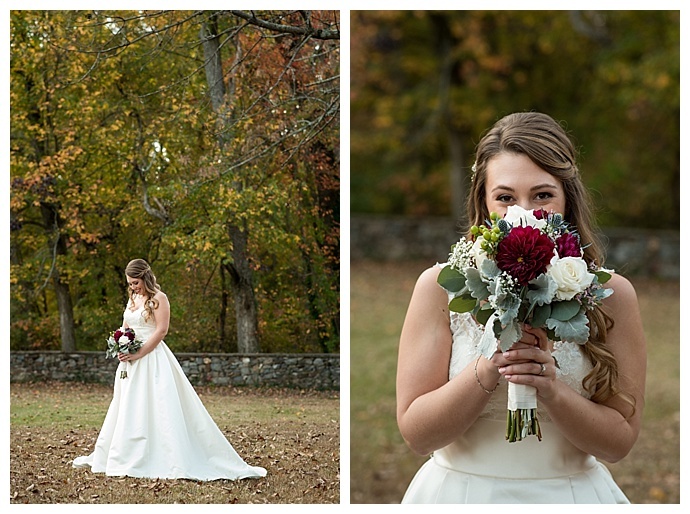 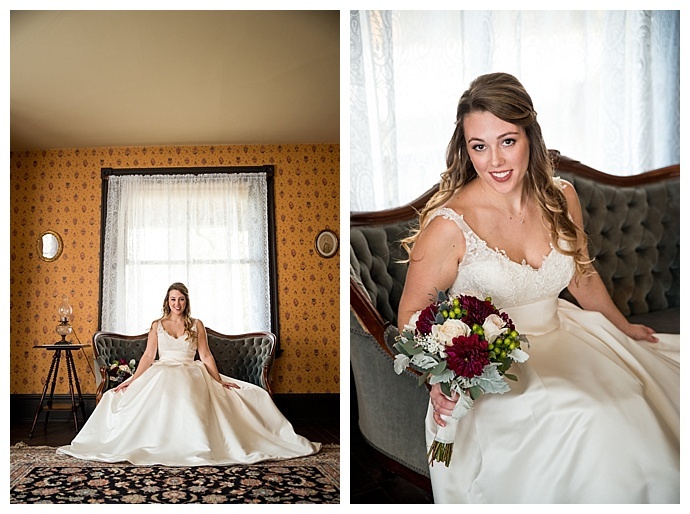 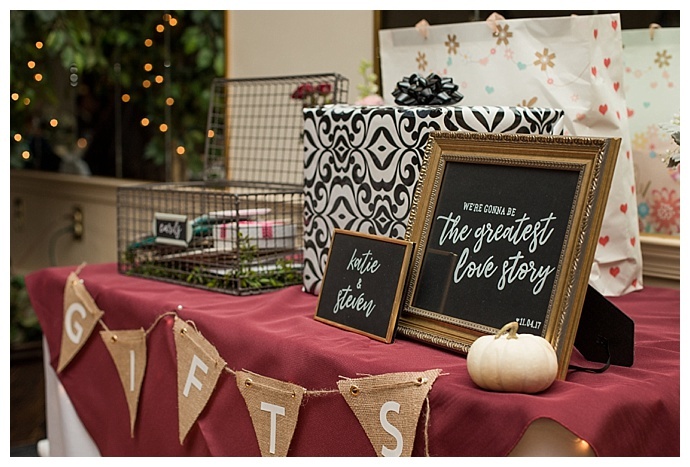 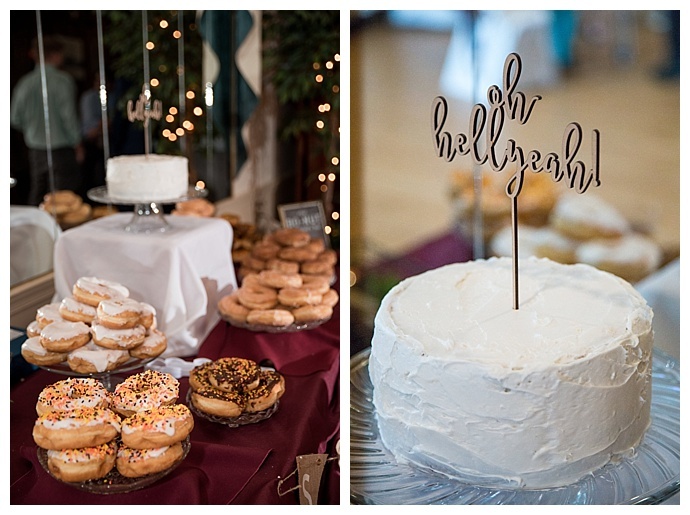 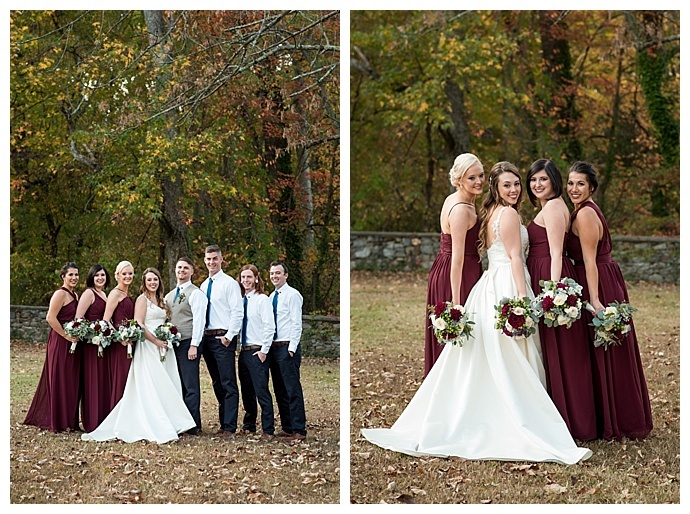 The newlyweds envisioned a fall soiree with pops of burgundy and white pumpkins for decor. 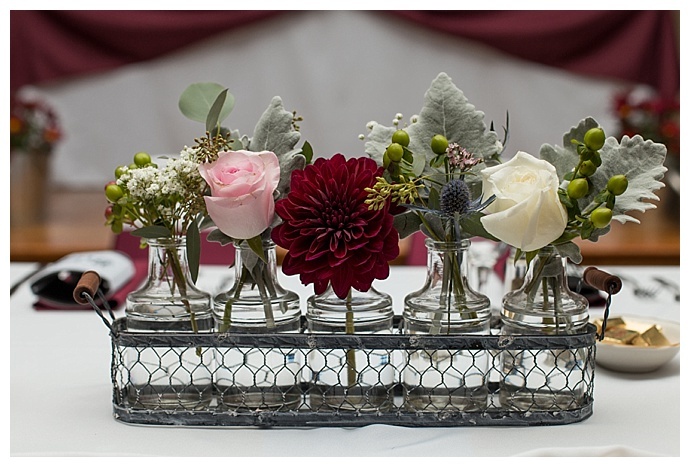 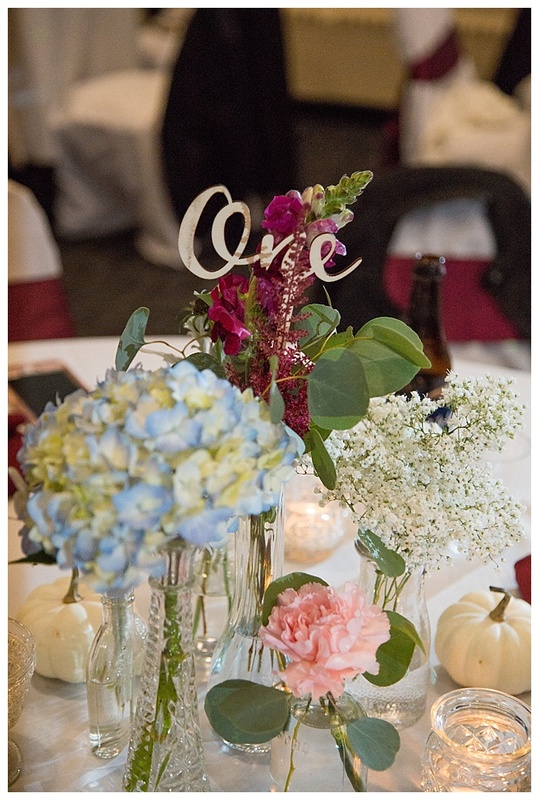 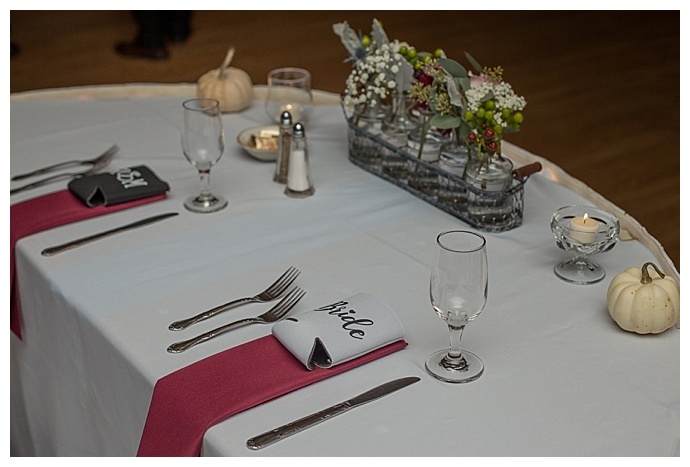 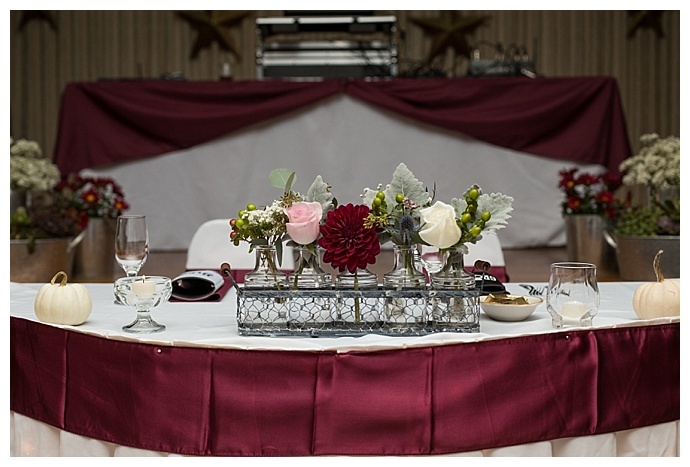 And for a personal touch, they used Katie’s grandmother’s antique glassware to hold flowers on all the tables. 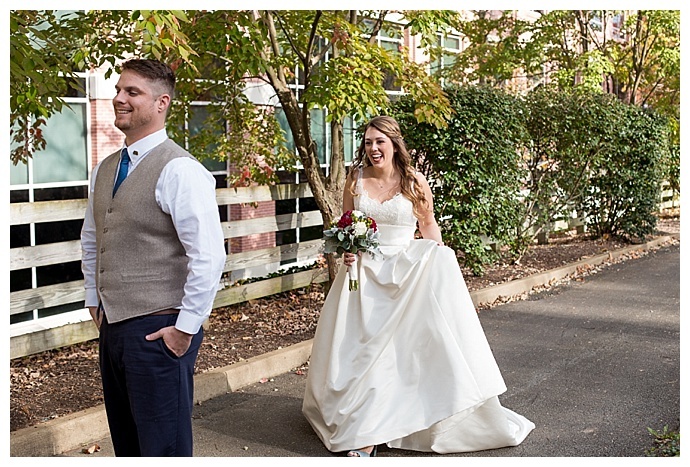 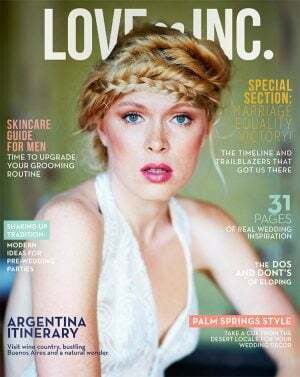 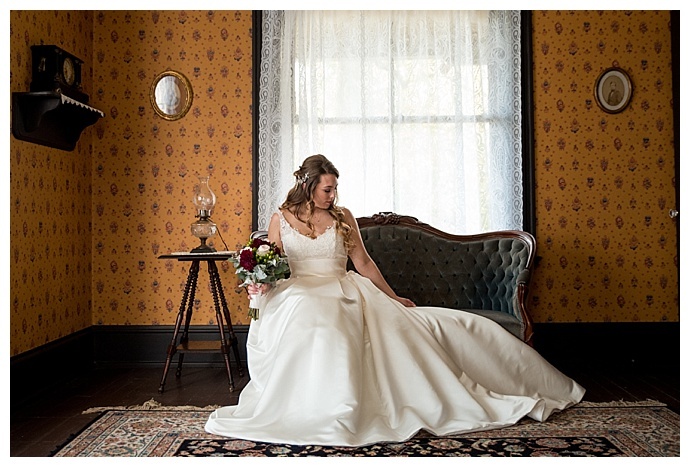 Dress Store: Brides and Grooms, Inc.